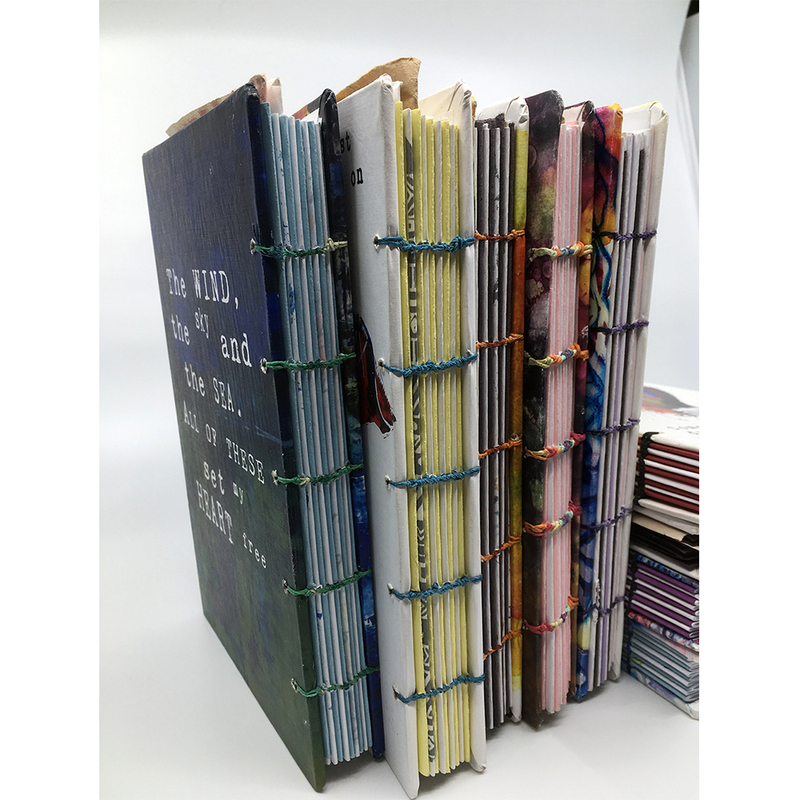 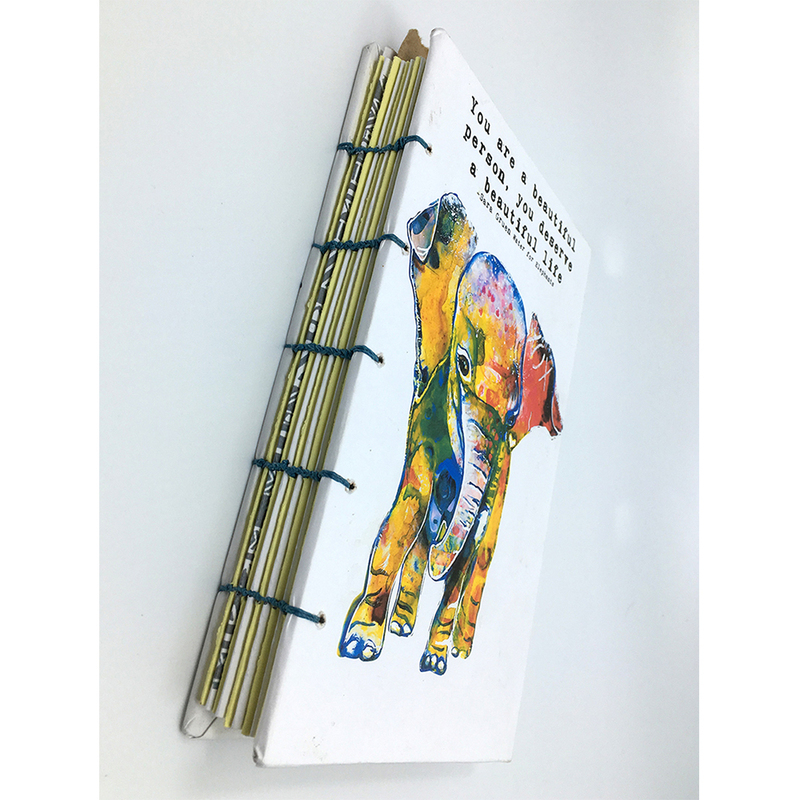 One of a kind, baby elephant journal hand sewn with a Coptic stitch binding. 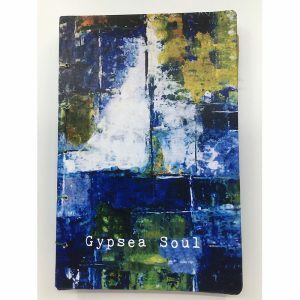 Perfect as your diary and keepsake journal. 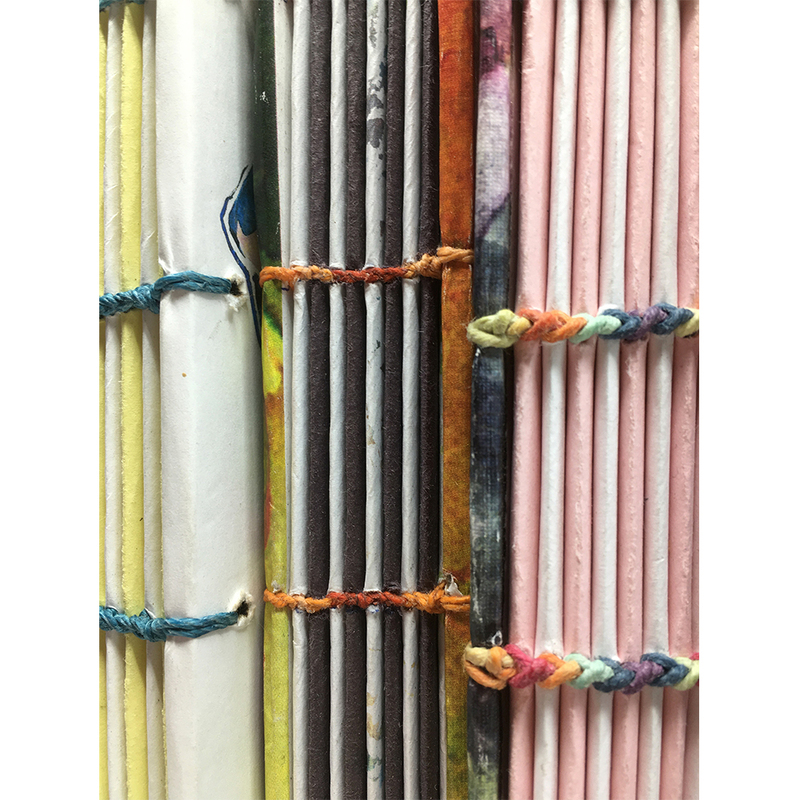 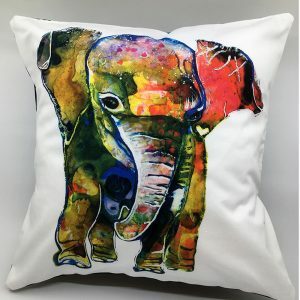 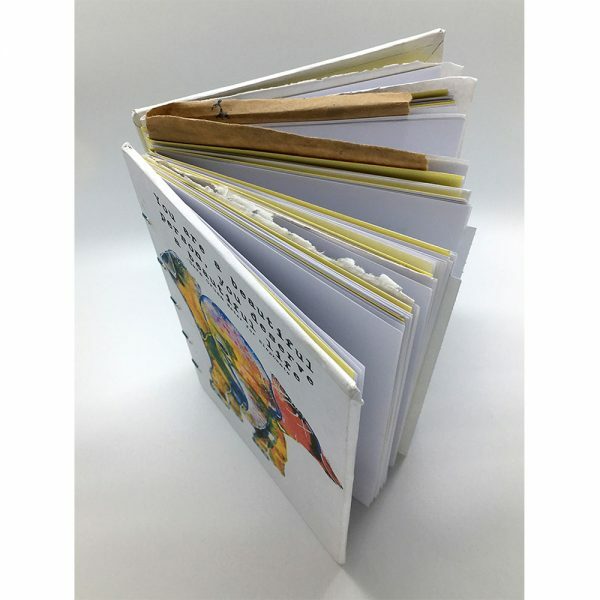 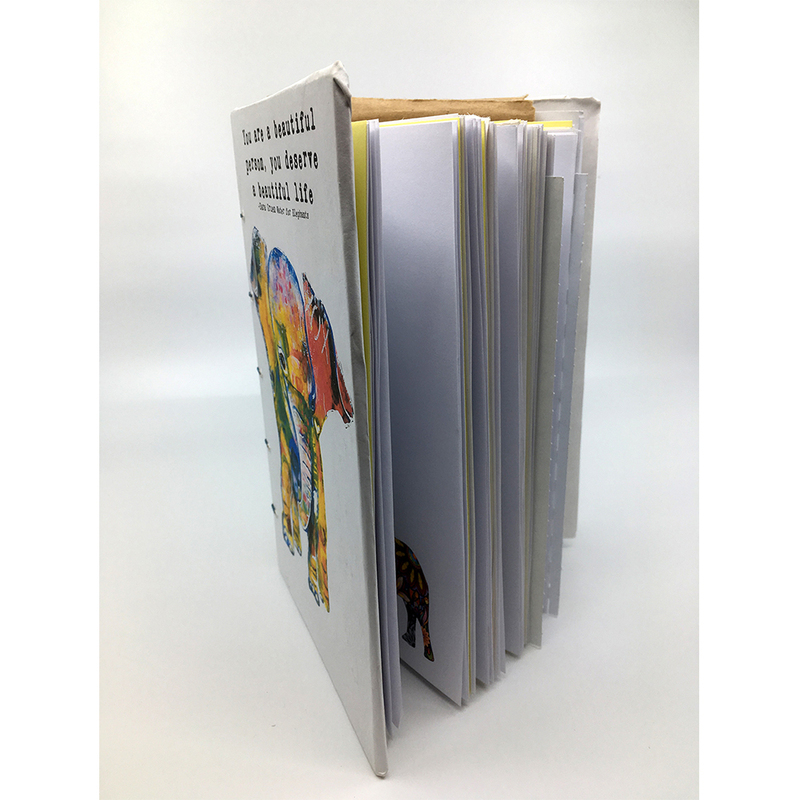 Bright and colourful, this handmade, original art printed hardcover baby elephant journal is hand sewn with a Coptic stitch binding and is perfect for your diary and keepsake journal writing needs. 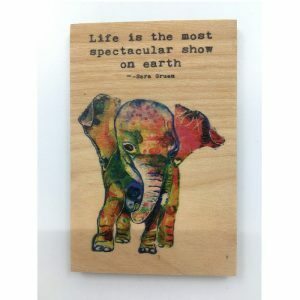 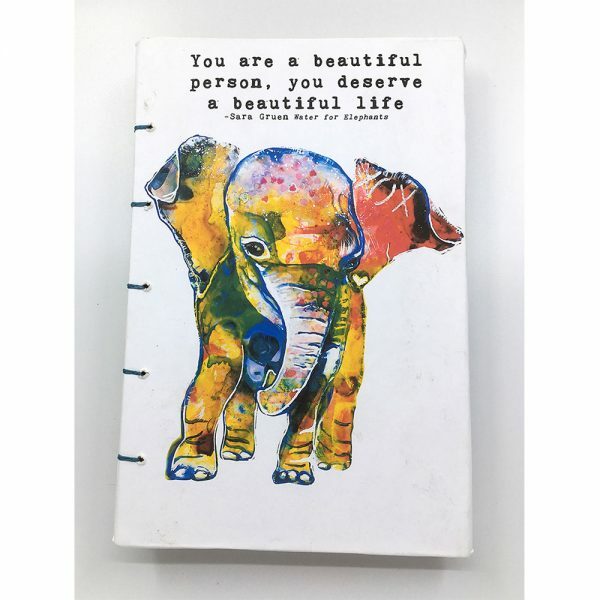 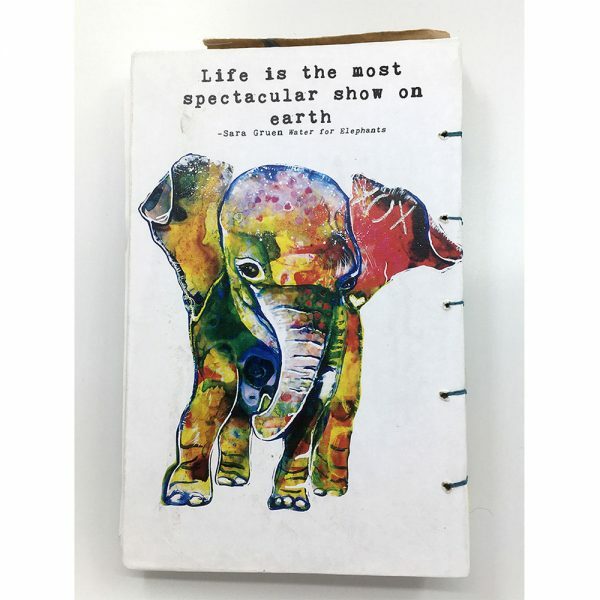 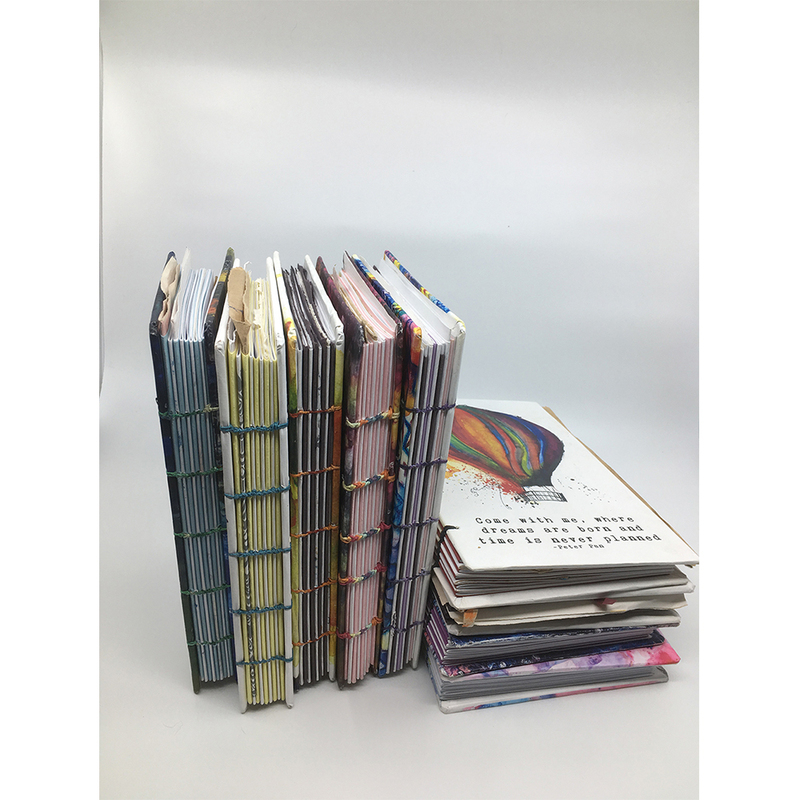 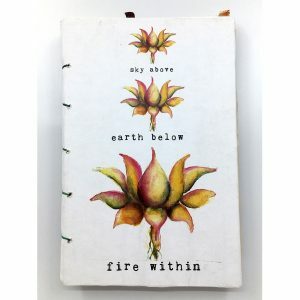 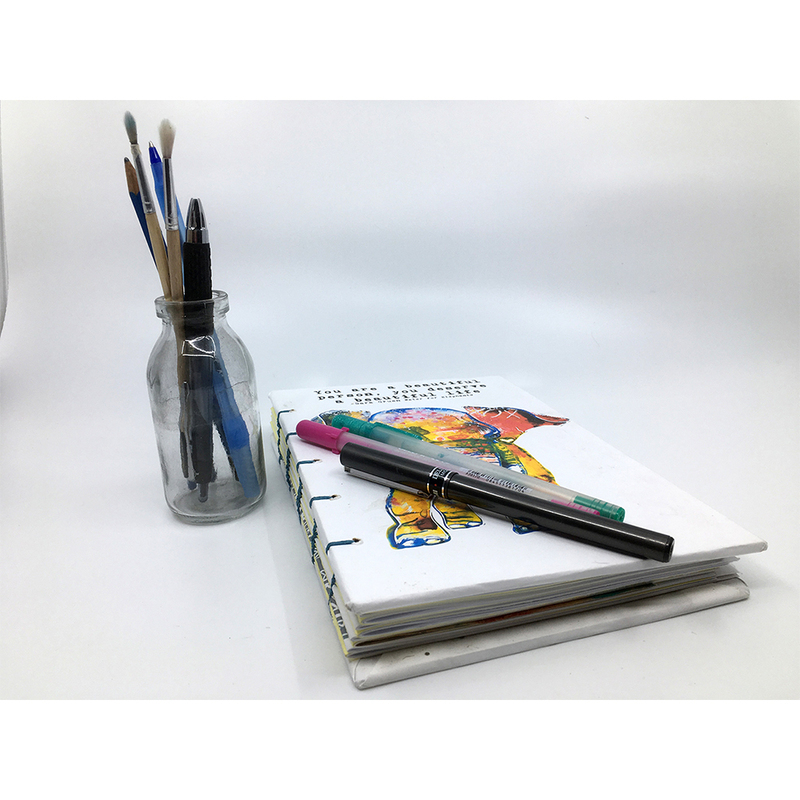 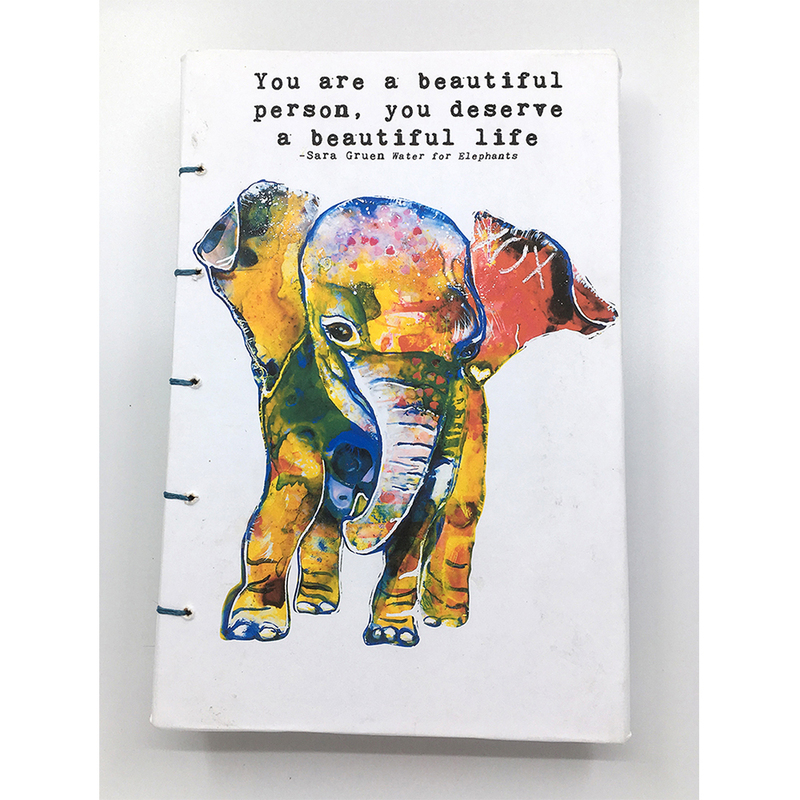 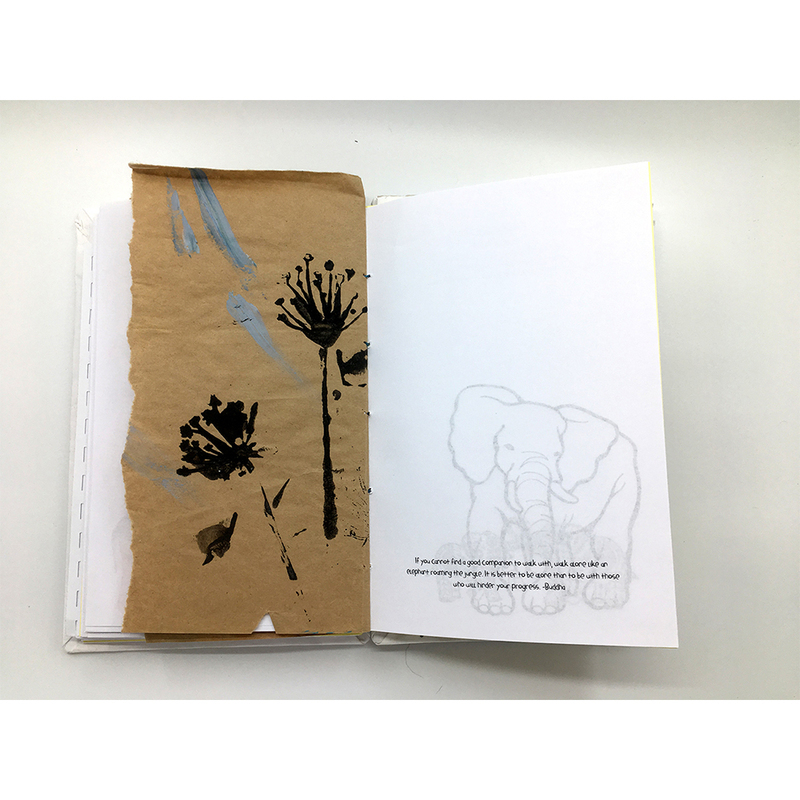 With bright shades of blue, purple, pink and green, this elephant journal has 54 sheets (108 pages total) of blank paper, each printed with an inspirational quote and an image (mainly prints of original art) mostly relating to the journal theme.